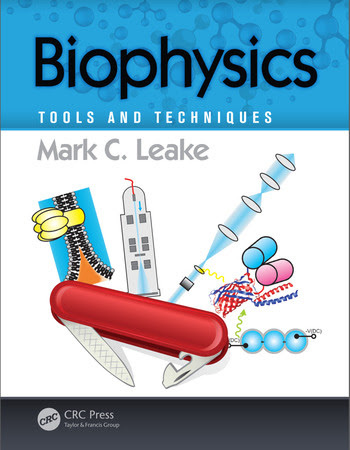 The Leake research group of Biophysics and Biological Physics is jointed hosted by the Physics and Biology Departments at the University of York and comprises research themes of both experimental biophysics and theoretical biophysics tools, as well the use of biophysics science tools and techniques to address questions in the life sciences and develop bionanotechnology tools for application in biomedicine, synthetic biology and bioengineering. We focus at a precision of single biological molecules but using cutting-edge biophysics tools and concepts to enable us to explore emergent properties in living cells and tissues. We are an enthusiastic, interdisciplinary biophysics team and interface closely with Biophysics Group in the the Department of Physics, and the University of York’s Biological Physical Sciences Institute (BPSI) and through a range of cross-departmental collaborations between physical and life scientists. Our core expertise involves bespoke microscope design and ultrasensitive imaging technologies in biophysics. These have led to insight into how biological reactions progress in real time. Early work in biophysics included optical tweezers instrumentation to probe mechanical properties of muscle (1), interferometric imaging approaches for the study of flagellar motors in action(2) and single-molecule fluorescence imaging of membrane proteins in bacteria (3). We have developed single-molecule biophysics tools to dissect the architecture of bacterial DNA replication machinery resulting in the first observation of three DNA polymerases at replication forks instead of the historically accepted two(4). Development of these tools have resulted in direct observation of the mechanisms of structural maintenance of chromosome (SMC) proteins, required for chromosome processing in all organisms (5). Current biophysics projects focus on single-molecule fluorescence probing of DNA-protein machines in cells, biofilms and tissues, and new tools of magneto-optical tweezers with super-resolution imaging(6,7). Emerging biophysics investigations involve DNA repair and recombination, bacterial sporulation, super-resolution imaging of photosynthesis molecular machine factories, cancer biology mechanisms through probing the EGF receptor pathway using live cell single-molecule imaging of carcinoma cells, bacterial and eukaryotic cell division mechanisms, mechanisms of controlling and exploring DNA topology, and probing gene regulation using rapid single-molecule tracking of transcription factors in live cells (8) and turnover of replication machinery (9), and membrane trafficking. In short, we have an enormous array of single-molecule tools at our disposal (10) which are either ready and available to us, or which we can build and develop to help tackle a suite of very fundamental, unresolved biological questions. In addition, we are recently engaged in an exciting EU consortium SynCrop employing 15 Early Stage Researchers scientists across a range of scientific disciplines and bringing together 16 expert academic and industrial partners across Europe targeted at using state-of-the-art synthetic biology tools for improving food and pharmaceutical production, importantly involving cutting-edge biophysics to enable characterization of the sub-cellular physiological of individual cells and how this changes during conditions of stress. We engage also with the Biophysics Group and comprising several research teams in in the University of York Physics Department, in a highly constructive and collegiate way and drive the Biophysics and Biological Physics Project seminar series in York, which is a networking vehicle running 4-6 times each term. This has catalyzed some very lively biophysics discussions, allows junior members in particular to find their voice and provides focused project talks as well as talks from experts from other departments. We are also a core component of the BPSI, a network of exceptional interdisciplinary science researchers working at the cutting-edge interface between the life and physical sciences. The Leake biophysics group in York works on some very diverse biological systems with a strategic view to seeing their paradigm features as being exemplars of longstanding questions, as opposed to our simply focusing on more incremental types research. We are very much exploratory driven. It's interesting, exciting and innovative. Above all, it's a lot of fun, with an ambitious and innovative biophysics team. If you are interested in knowing more with a view to joining our single-molecule biophysics group just get in touch! If you follow signs for Physics from there you will see a single main corridor with Physics on left and Electronics on right. Take the first left corridor off the main corridor, turn first right off that corridor and you should be facing pigeon holes on your left. Go through double doors and take first door marked C section on your left, go up blue carpet stairs. Head for reception desk and ask for Prof Leake. Physics of Life Summer School 2018, Durham Castle. A fantastic week with inspirational peers! 1. Grant proposals from funding bodies who have not clearly recently demonstrated that they will fund modern biophysics research to the same extent as other non-interdisciplinary science disciplines. 2. Journals that do not publish via a Creative Commons licence and/or that are not fully open access and/or demonstrate no clear evidence for making reasonable attempts to offer specific and non-general feedback to rejected authors. 3. Non-UK funding bodies that are either not purely charitable or not involved in pure biomedical research. 4. Solely commercial publishing groups. 5. Head-hunting/promotion academic committees external to Univ York.